Ilya Grigorik from Google has posted a reminder that Chrome 42, the browser’s next stable build, will start displaying expired certificates. We have known for some time that Google was making the change, as back in January they announced that Google would begin flagging non-HTTPS sites in an upcoming build. There is some grace period, as it will currently highlight those that expired earlier than 2015. It isn’t clear whether sites that are completely unsecure will display the https crossed out in red, as the current version of Chrome Canary does not yet display the newer style like the screenshot that Ilya Grigorik posted, but we might learn more as release is closer. There are also quite a few comments from Googlers on the Google+ thread that deep dive into the security certificate aspect of it. Bottom line, if you haven’t made your site secure yet, particularly if you collect any kind of personal information, it would be advisable to consider doing it sooner rather than later, even if the SSL ranking boost in Google search is tiny ranking boost. Not quite clear how to make the switch? Google published information to assist webmasters on switching to HTTPS as well. I think you’ve confused two different things. 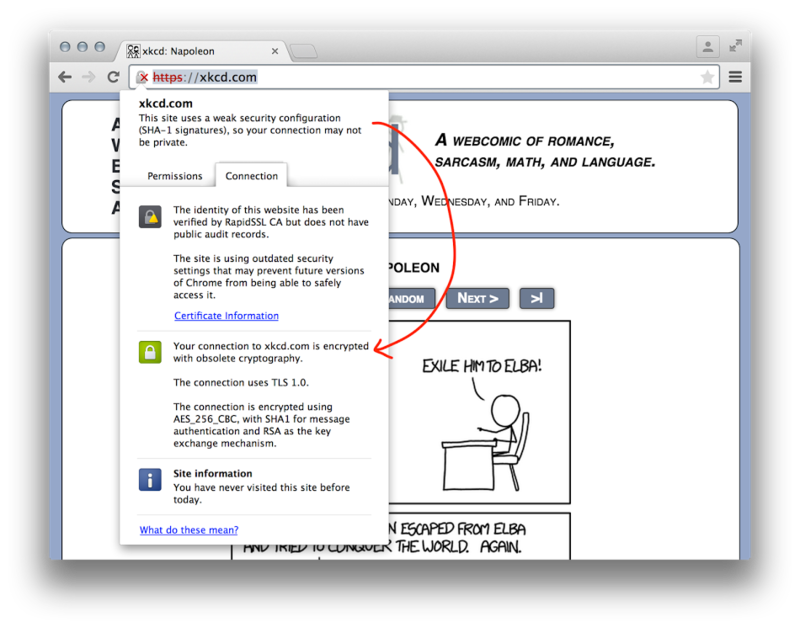 Ilya’s posts are about warning about obsolete SHA-1 certs.. not about non-https sites. Yes, but the change with the https is coming along with it.